How hard is it going to work feeling tired from a terrible night’s sleep? 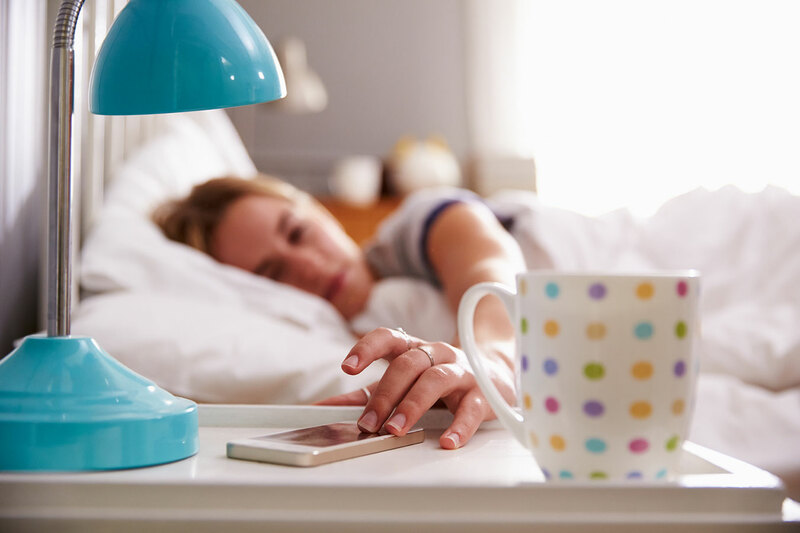 Lack of sleep, not only affects how tired you may feel but also has a serious impact on your concentration levels, making even the most basic tasks seem more difficult. Sleep, or lack of it, also affects your food choices. It’s not by coincidence that you tend to reach for the sugary snack in an attempt to increase energy levels after a poor night’s sleep! Poor sleep is increasingly common amongst Australians, with one in three people regularly struggling with their sleep. Lack of adequate sleep affects more than just how your day plays out. Sleep deficiency leads to increased fatigue and in some cases can escalate to more serious sleep disorders. How do sleep cycles work? To understand our sleep cycles, we first need to understand that as humans, we are hard-wired to the environment around us. This is more commonly known as the ‘sleep/wake’ cycle or circadian rhythm. The sleep/wake cycle is activated by light (or lack of light) hitting our eyelids which then instructs the body how to function and feel via the endocrine (hormonal) system. We feel sleepy at night when the sun goes down, and alert during the day when the sun is up. In today’s 24/7 society, we tend to disregard these natural laws due to our increasingly busy lifestyles. We stay up late, work on our devices directly before bed, miss the ‘sleepy sweet spot’ – that time of day when you feel tired but instead of going to bed you push through to fit one last thing into the day. There are plenty of things we can do to manage fatigue and to ensure we get a good night’s sleep. In preparation for National Sleep week which falls on the 1st – 7th October 2018, we have put together our top 7 strategies to improve the quality of your sleep. Make ‘adequate’ sleep a goal of yours and actively work towards it just like you would with any other goal you set. Don’t stop until you achieve it. Adequate sleep is defined as 6-8 hours a night. Ensure the room is dark and quiet. If you live in a noisy area then try using earplugs and make sure the room is dark and cool. If the room isn’t naturally dark, then invest in some good blinds or an eye mask to block out the light. Why darkness? At night our bodies produce melatonin, which allows us to fall asleep, and stay asleep. Light interrupts the secretion of this important hormone. Go to bed the same time every night, preferably by 10:00pm. Your body loves working in cycles so make sleep a disciplined routine. Another good trick is to dim the lights about an hour before going to bed. By doing so, this mimics the sun going down and prepares your body for sleep. Get the temperature right. An environment that is too hot or too cool can disrupt your sleep. Aim for a bedroom temperature that’s comfortable to you. Most people find a temperature of around 20°C to be ideal. Stop using your computer, phone or device directly before bed time as the blue light emitted interrupts the sleep hormones. If you have to work when you get home, then do so earlier on in the evening. Is it ok to nap? Yes, but only for 10-20 minutes. Any longer than that and you will start to feel drowsy when you wake up, due to going deeper into the sleep cycles. Stop drinking coffee! It disturbs the natural sleep hormones melatonin and adenosine that regulate your body clock and assist in getting a good night’s sleep. People ask can I just have one a day? The answer is simple –if you are sleeping well, sure! If not then try cutting coffee out for 2 weeks and see if that makes a difference. Also to be sure to reduce any other stimulants like: Coke, energy drinks, matcha green tea, tea and chocolate. Most of all, listen to your body when you feel tired and go to sleep. Sleep is just as important as eating a healthy diet, and reducing stress in your life. Next PostTo stretch or not to stretch before exercise?